Equinox Desktop Environment (EDE) is yet another lightweight window manager. It looks vaguely familiar to me... looks almost like something I used in the late 90's! 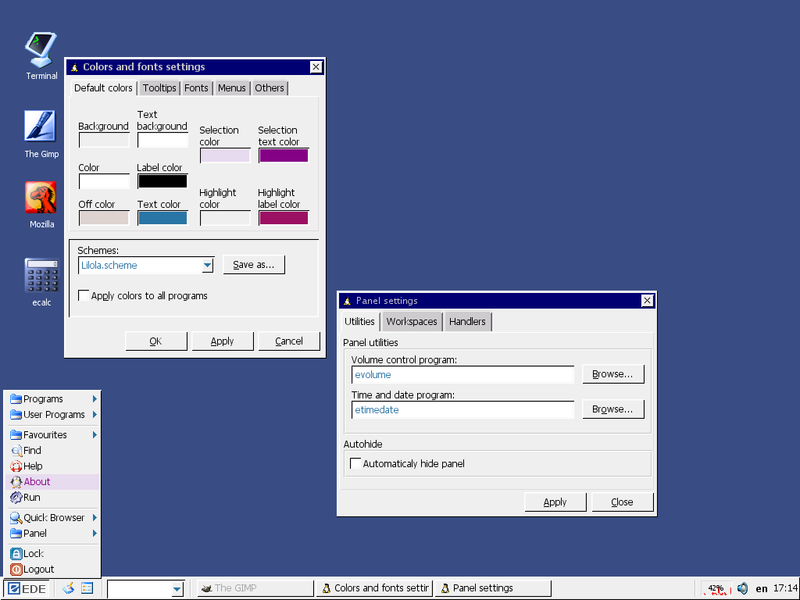 Unlike most lightweight window managers, EDE supports desktop icons, wallpapers, themes and has a panel with taskbar. Unfortunately the project does not offer any ready deb's or rpm's, and neither of the distributions I currently use (Debian, openSUSE) do not have EDE in their repositories. It seems users are expected to compile their own EDE from the sources offered by sourceforge.